“In Sardinia insula multae et amoenae orae sunt” the Latins would say: the island of Sardinia there are many pleasant beaches. The beauty of Sardinia was recognized even then, when there were no bathing nor ferry. There were no discos or pubs, there was not even tourism. 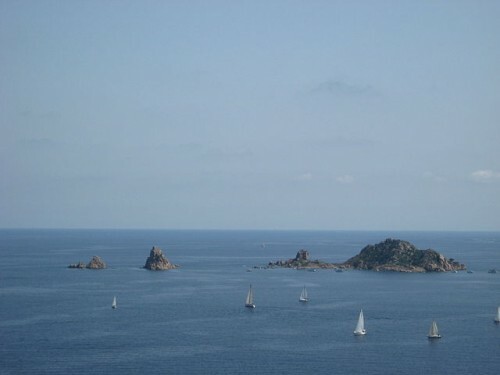 Sardinia remained a jewel that glitters, the spearhead of the Italian enchantment. The sea is fabulous, the charm of this island is beyond description, something you can perceive, perhaps landing on the attractive Sardinian coast, lying on the banks. The holidays in Sardinia are something unique and unrepeatable, and even more so is the peculiarity of this land, which hosts tourists from all over. Sardinia has nothing to envy to exotic , “noble” and definitely more expensive places, such as the Caribbean, it Fiji or the Maldives which are all well known. But to experience the excitement of a holiday on the Costa Smeralda or the famous Strait of Bonifacio is priceless! Places like Porto Cervo, Cannigione, Colostrai, Baia Sardinia are necessarily to visit at least once in their life, to understand the extraordinary vastness of the natural landscape Italian. Nature also is a branch of art, and in Sardinia really gave their best! Not only sea: the Sardinian flora is unique, with the spectacle of the cork oak and the Mediterranean evergreen. But the campaign is the pride of the region. Even the wildlife and farm animals contribute to give a stunning look to Sardinia: the white donkeys, wild sheep and Plecotus Sardinian (for lovers of bats night) there found only here, on this island attractive. You can imagine what products might sensational savor during your stay. We anticipate that the pecorino cheese, with its shiny plastic shapes and is an invitation to take a bite … with all the wax! 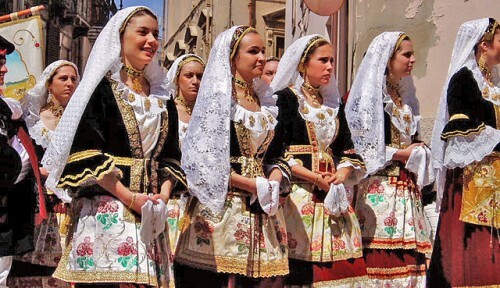 The Sardinian language, the consonant music, almost melodic, might suggest something dark, like the Sardinian people were “on their own”, wary and little open … woe to think !!! This is the wrong clichés. The Sardinian would be very angry, do not try! Come rather to Sardinia and you will forget this rumor: you will understand the acceptance and loyalty of a wonderful people! Sardinia is often described as a small paradise in the heart of the Mediterranean. Its coasts and its white beaches are the emblem, but there are many places and many facets that are worth discovering. Here a list of 10 locations to visit in Sardinia. Use it as a useful reminder about the best places to visit while vacationing on the island. It is undoubtedly the most important and best preserved among the approximately 7,000 nuraghi which are the classic dry construction, precise play of overlapping stones on one another scattered around the island. Also called “Su Nuraxi” Nuraghe, it was declared a World Heritage Site by UNESCO in 1997 and is one of the must-visit places in Sardinia. Composed of seven main islands the archipelago of La Maddalena is another World Heritage Site (declared in 1994) of Sardinia. Its waters are clear and clean; you can make excursions from half day or full day, exploring small beaches and coves accessible only by sea among the untouched nature and breathtaking beauty. Beach lovers will find a pure and uncontaminated environment on the southwest coast of the island. Dominated by the tower (Parco Torre Chia), visible from all its beaches, Chia owes its popularity to the clarity of its waters, which bathe the coast of Chia for about 6 km. In the area of ​​Chia you can visit the area Nora archaeological, coming from Punic origins, considered the oldest town in Sardinia. The area of ​​Chia extending to Capo Teulada, the second strip of land to the south of the island, where the breathtaking Lighthouse of Cape Spartivento, a lighthouse still working as a combined luxury guesthouse. The deepest canyon in the island and one of the deepest in Europe is located in the region of Ogliastra, in the south-east of Sardinia. Place to visit but, above all, to explore. You will admire the wild nature of the island and walk the lands of centenarians. It is said that, in Ogliastra, there is a portion of the magical land: those lucky enough to pass over it, will have a long life. Fascinating and unique, Alghero and Bosa in Sardinia are two places worth visiting, located on the northwest coast, separated by about 50 km. Alghero still bears the traces of its past Catalan; It has an attractive old town and beautiful beaches. Bosa is smaller, it has the romantic charm of the city of the river and a wealth of traditions still alive. The most important caves of Sardinia are located in Alghero and are dedicated to the god Neptune. You can be reached by ferry or by a staircase of 600 steps, which offers spectacular views of the sea and the coast. Mamoiada and Orgosolo are two traditional places in Sardinia that are in the heart of the island, in Barbagia, the provincial Nuoro. 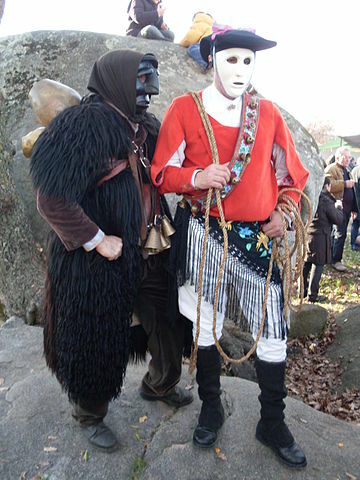 Orgosolo is famous for its murals (about 150), while Mamoiada for its typical carnival masks: the there are insights, along with many others, in the Museum of Mediterranean masks the country. It has about 6,400 inhabitants and is the only town on the island of St. Peter, in the south-west coast of Sardinia. It ‘a quiet, very pleasant, with tiny little beaches and charming narrow streets, its own dialect which is a variation of the Ligure, testimony to its history, unique in Sardinia. 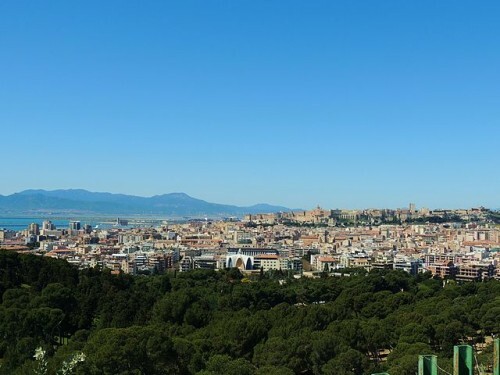 It ‘s a symbol of the city, situated in the district of Castello, in the heart of Cagliari. From its terrace Umberto I can admire the beautiful surroundings of the city and the charming seaport. The town of Castelsardo is a fascinating medieval town included in the list of “The Most Beautiful Villages in Italy”. From the top of the Doria Castle, overlooking the city, you are the beautiful view of the Gulf of Asinara on which the castle overlooks. This entry was posted on Monday, November 23rd, 2015 at 11:07 pm	and is filed under Discover Italy. You can follow any responses to this entry through the RSS 2.0 feed. You can leave a response, or trackback from your own site.